Gary & Pat's Spin on our beds ! ​Gary & Pat Turnbeau of Yorba Linda, California came up with an even easier way to make our beds. They purchase the bed covers then add to the pvc frame they build. This makes the bed construction super easy. We wanted to share some photos with you of today’s donation of 8 beds to Westminster Adoption Group and Services (WAGS). After reading the story in this article, we felt that they might need a little help. 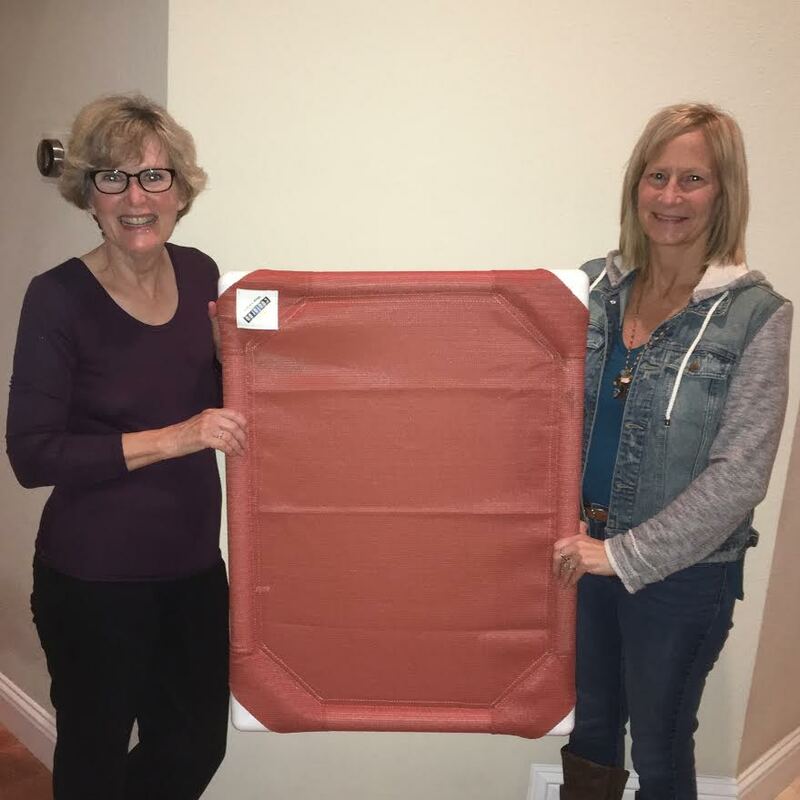 Best Friends in in Utah, Angels n Paws Rescue in Devore CA and The Orange County Animal Shelter have been the recipients of Gary & Pat's bed making for many years. A sweet little guy at Best Friends makes use of his new bed. Gary even takes the extra TLC to use acetone to remove the industrial print on the PVC. Raymond & Sammy are the Chief Inspectors of all beds that are made/donated. Pat donating to Angels n Paws Rescue with volunteer Pam.